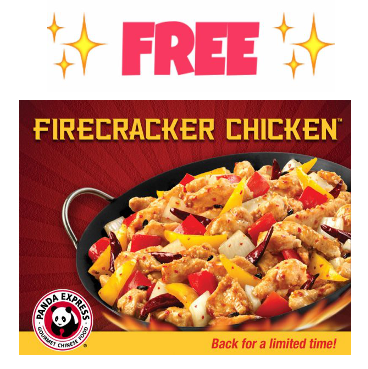 Through tomorrow, February 1st, Panda Express is offering up a FREE Order of Firecracker Chicken – a $3.90 value! You can redeem this freebie online by using promo codeFCCB2017 at checkout. Or, you may be able to redeem this offer at the restaurant by showing/telling your cashier the code FCCB2017.